Photography is all about the light. As photographers, our aim is to capture and control the amount of light hitting the camera�s sensor to perfect a good photo. When photographers talk about light, you will hear terms mentioned such as ambient, which is natural light. Note this type of light is always changing, it doesn�t remain constant. Split, Rembrandt, and Butterfly are some of the classic lighting patterns used for portraiture in a studio setup. 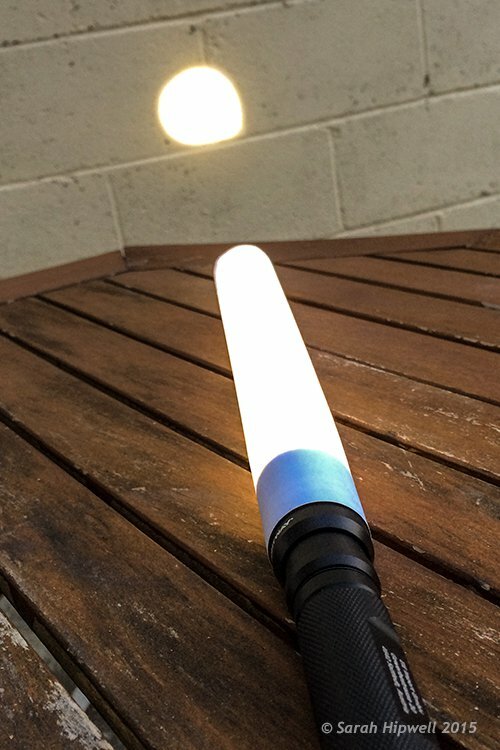 A LED torch with a paper snoot. One of my favorite basic setups when I shoot outdoors is when the day is overcast (dull), which makes the light act like one big soft diffuser. The ambient light provides my main source of light (key light) and I use a white, silver, or gold reflector to act as fill. This is in sharp contrast to shooting in a studio where artificial lights are used. The choice and range of lights will depend on whether you use flash or continuous lighting. The main advantage to this kind of setup is that you have complete control over the lighting, plus it doesn�t rain! The best method I find in learning about lighting, be it natural or artificial, is to experiment. Recently, I was flipping through a camera magazine when this product caught my eye � The Ice Light 2�by Westcott.�It stood out for two reasons: The concept and the price. 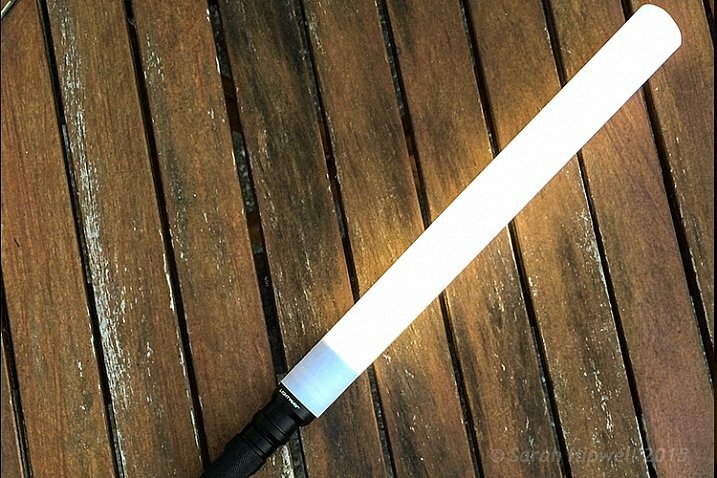 I really liked the Stars Wars light-sabre appeal to it. It�s different, and has that wow factor, as does the price. It�s not cheap. This is not a review of the Ice Light, but it did give me some inspiration for an idea. For less than $12.00 USD, I purchased this LED light which, surprisingly, has 140 lumen. I set myself a challenge to see how effective this light source could be when used for photography. 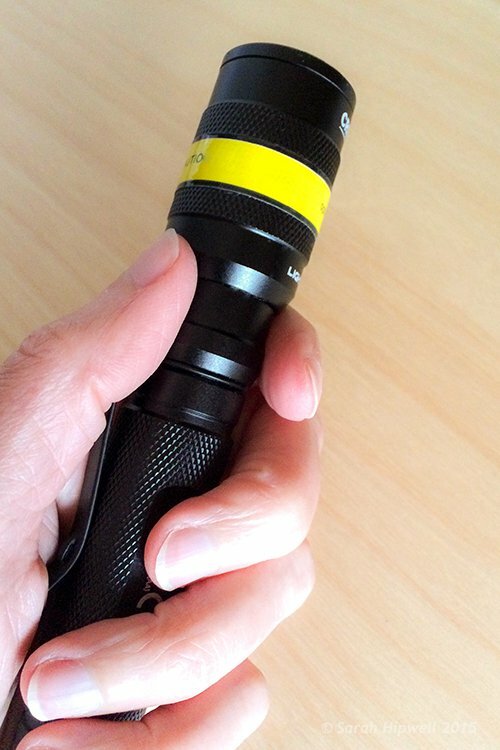 A small but powerful LED torch light. How did I test it? I took some shots outdoors, as well as indoors, just to get some variety and scope to this project. For my initial shots, it was 10:30 p.m. at night, not quite dark, but dusky. I went to a little park near where I live, placed the torch horizontal in the grass, and had the toy plastic Gorilla in a grassy verge, roughly a couple of feet away. I had the aperture at f/2.5, the ISO at 400, and the shutter speed at 1/50th. A toy plastic gorilla in the grass. 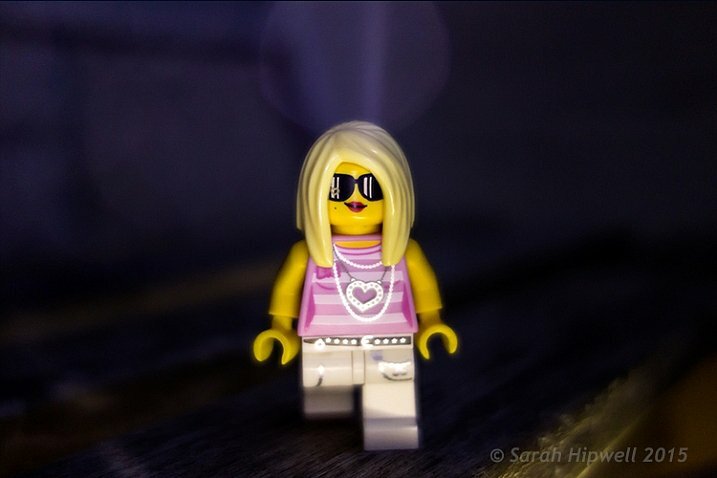 Nearer home and again outside, I place this Lego figure on a garden wooden chair with slats. I had the torch underneath standing vertically. Just by moving my camera rather than the light, I was able to get a bit of flare that really added drama to the shot. 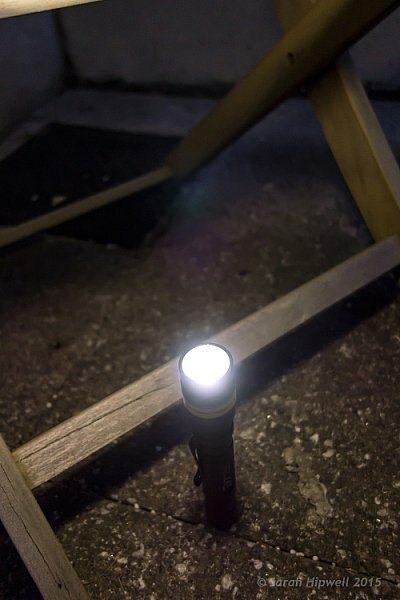 I placed the torch upright under a garden chair with slats. Back indoors, I had my daughter hold the torch with paper wrapped around the end to form a snoot. Using plain white printing paper wrapped around the torch to form a snoot. I got her to move the torch around until I was happy with the light. I really liked the catchlights. The camera settings were: Aperture f/4.5, shutter speed 1/30th, ISO at 800, the focal length was 44mm. 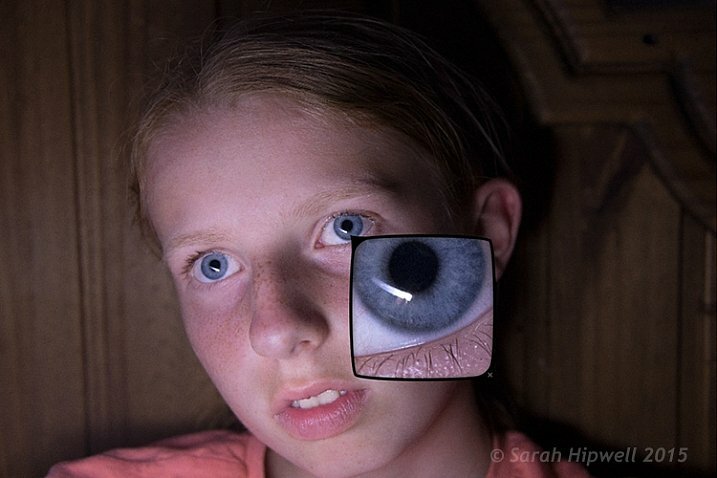 Interesting catchlights from the torch with a white paper snoot. The torch was placed in the centre of the book facing towards the camera. I had the idea brewing for some time of trying to get that shot lit from the inside of a tent; the one that is ubiquitous in great landscape shots. I had a lot of fun doing this shoot, and would highly recommend you try to do the same! The plan was to have my daughter inside and get a nice silhouette of her against the wall of the tent. It didn�t go to plan, which was fortunate for me. 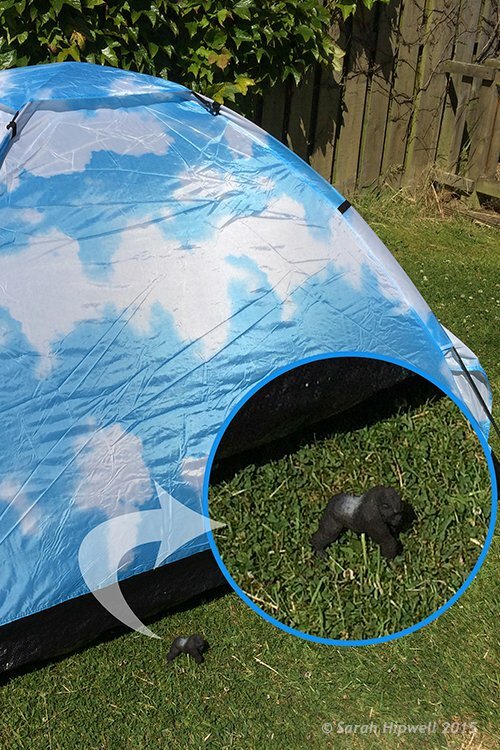 As a last resort, I got my plastic gorilla figurine and placed him inside the tent with the torch lying horizontal on the floor of the tent, only about 6 inches behind him. I was well chuffed (pleased) with the final result. It was even better than I had envisioned; especially as the gorilla is only 3.5 inches tall. I did have the camera on a tripod as it was dark. The settings were: ISO 800, aperture f/4, shutter speed 1/8th, and focal length was 40mm. Fun with a toy gorilla inside a tent with a torch. 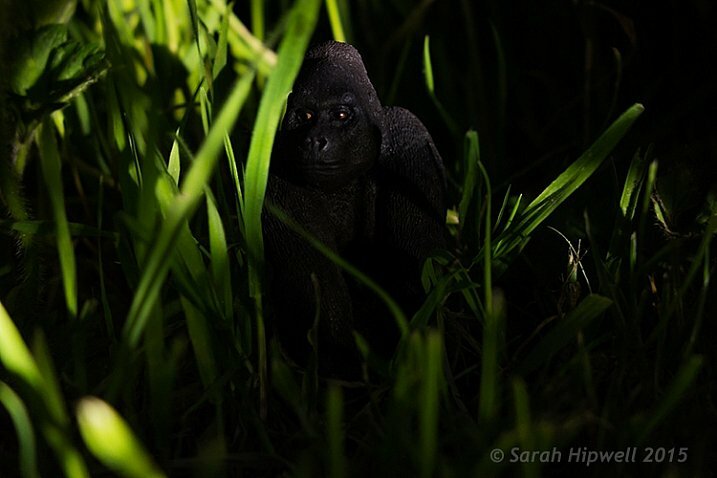 The gorilla is only 3 and half inches tall, small relative to the size of the tent. To be honest, I wasn�t expecting this project to yield the results that it did. It has been the best $12.00USD that I�ve spent in a long time. It is now another must item to have in my camera bag. What non-photography light sources have you used in your photography? Please share in the comments below.